After releasing the ZPUino 1.0 Alvaro Lopes has managed to add a VGA adaptor to his processor and then he wanted to make something special to test the adaptor and try to display some nice graphics. Then he got the idea to remake one of his favourite games that he enjoyed so much back in the mid 80s. The game principle is simple, it consists of several rooms, filled with enemies and objects. The objective of the game is to successfully collect all items in the game so Maria will allow you to go to bed. The Game is a remake for the ZPUino running on the Papilio One with an Arcade MegaWingand can be played with the buttons on the board, Alvaro will make it playable with a joystick soon and he will try to improve it and make it even better. Here is a demonstration video of the game. 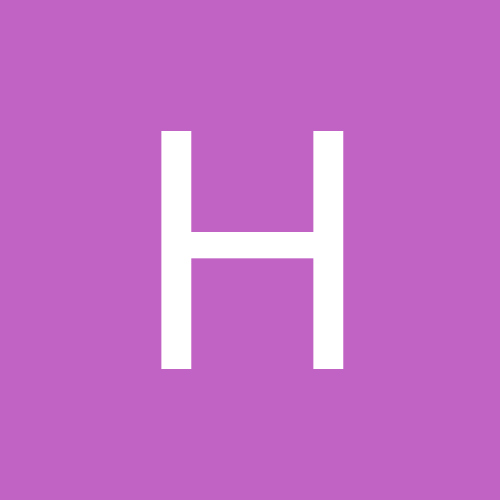 The full source code is available for download on Github. Click here to check the game wiki page. The main reasons why I settled on BJ were that no one had implemeted it before in an FPGA, the schematics were of great quality and it used standard hardware of that era, such as discrete TTL logic, Z80 CPU and AY-3-8192 sound generators. I knew these cores were already available and I could stand on the shoulders of giants and not have to re-implement the CPU and audio chips, instead focus on translating the schematic to VHDL. In my eagerness to begin, I threw caution to the wind and didn't go through a resource planning stage, I simply went page by page in the schematic and translated all the chips to VHDL code, connecting everything together. This was a fairly tedious process for the most part, but also challenging, in trying to figure out the proper VHDL constructs and solve various implementation issues. This can be seen in the project source code, where each page of the schematic is implemeted in it's own corresponding VHDL file. I've also kept the chip notation inside the VHDL code as per schematic, namely a number letter pair identifying the board row/column where the chip is located. In the case where a specific gate within a chip needs to be identified, an optional number follows specifying the pin where the output connects. For example, 1T8 refers to chip located at coordinates 1,T on the board. It is a LS08 quad AND gate as seen in the schematic. Furthermore 1T8 refers to one of the four gates in the chip, the gate with output exiting at pin 8 of the chip. Once the translation from schematic to VHDL was complete, I came across what seemed like an insurmountable problem. The game uses a total of 16 ROM chips adding up to 112Kb of memory but my FPGA, a S3E500 only has internal space for 40Kb. This issue would have come up earlier had I bothered to go through a planning stage. In hindsight, it was probably serendipitous, as if I had figured this out early, I might not have started the project at all. Now that I had spent all this time and effort, I was invested. Even so, I had to put this project on ice for the rest of 2011 until through sheer luck, Jack Gasset donated a beta Papilio Plus board. The P+ uses a LX9 FPGA but the board also has a 512Kb of static RAM chip. This was perfect for this project and early this year I picked up the project again and attempted to progress it. The next problem I encountered was the fact that the video circuit uses a total of 10 ROM chips. Even if you consider that some ROM chips share a data bus, that still leaves one ROM chip with a 8 bit data width and three ROMs with a 24 bit width. That's without even counting the main CPU program ROMs and the audio CPU program ROM. The problem is that all these ROMs are constantly accessed simultaneously and in different clock domains, for example the CPU ROMs are accessed synchronous to the CPU clock which is 4Mhz but the video ROMs are synchronous with the 6Mhz video clock and the audio CPU ROMs runs at 3Mhz, which at least is in sync with the 6MHz clock. But I only have one single SRAM chip to store them all in. How can I fake having a bunch of separate ROM chips by only using a single SRAM chip? After a fair amount to simulation and examining the circuit diagram, it turns out the answer is time division multiplexing. By running the SRAM on a 48Mhz clock, it turns out is possible to fake the appearance of multiple ROM chips by storing them in different areas of the SRAM and quickly reading each ROM address and presenting the data to the target just in time. By also taking advantage of the FPGA's built in BRAM blocks, it was possible to store the main and audio CPU ROMs inside the FPGA (total of 48Kb = 24 BRAMs) and only have to retrieve the video ROMs from external SRAM, which are inside the same clock domain. So now we have a bunch of ROMs that need to be available inside the SRAM chip at power on, but the SRAM is a volatile storage medium. This is where the SRAM bootstrap comes in. The SRAM bootstrap project which I published on the Papilio Code Playground back in February is a direct result of this BJ project. You can read the details at the link above but briefly, on power on or reset, the boostrap takes over the SRAM chip buses and copies the contents of the serial FLASH chip in to the SRAM, then releases the SRAM buses to the user and signals it is done. The user portion, in this case the actual BJ circuit, uses that signal as its reset, so when the boostrap is done, the BJ circuit comes out of reset state and is free to run and access the SRAM. By far the lengthiest part of this project was debugging the game so it runs correctly (or at all). After writing some test jigs and testing the easy schematic pages, such as the input switches on page 2 and the video and timing signal generator on page 3, I started the debug process from the video output and moved backwards. This meant starting with page 8, the color palette circuit. This was fairly simple to debug but it needed something to initialise the palette RAM and drive it. I decided to build a simple state machine test jig that would replace the CPU and simply initialize the palette RAM by writing the values to address space based at 0x9c00 then drive one of the priority encoder inputs such as for example BC/BV. The priority encoders 5F,H,J,K on page 8 are arranged such that when supplied with simultaneous video signals on inputs BC/BV, SC/SV and OC/OV they prioritise these signals such that BC/BV has the lowest priority (this is the background picture), SC/SV has the next highest priority (this is the character generator) so it always appears "on top" of the background and OC/OV has the highest priority (these are the sprites) so they would be displayed "on top" of both characters and background. The next step was to drive the palette circuitry and by examining the schematic I decided the easiest and best part to get going next was the background generator on page 7. This generates the in game backgrounds and it doesn't even depend much on the CPU driving it, the CPU simply writes a value to address 0x9e00 to select a background and then leaves it alone while the circuit continuously generates the background and shifts it out to the video output. The test jig I'd built earlier fit the bill perfectly adding this new schematic page to it and before long I could see my first real game pictures. I could cycle through all the game background pictures, though the colors were off as it seems each background uses a different palette. Nevertheless this was a great step forward as it was the first real video from this whole project that looked like part of the original game. The next part to get going would logically be the character generator on page 6, as it is not much different from the background generator circuit on page 7 except for the index ROM 4P is now replaced with a SRAM chip 6LM. This means that it would now be more difficult to drive this with my test jig, so I'd actually have to implement the main CPU. I quickly decided to move all the main CPU ROMs to external SRAM since that didn't require any multiplexing and shift as many video ROMs to internal BRAMs which are truly independent and can easily emulate multiple independent ROMs. After testing in the simulator that the main CPU executes instructions from its program ROMs I tried running the whole game on the FPGA. This didn't initially just work but after some more simulator action and tweaking of the timing of some signals and fixing up some minor bugs, the video screen showed the game booting up through its power on self test routine, with all ROMs passing the test and most of the RAMs too, then the initial high score table would be displayed. 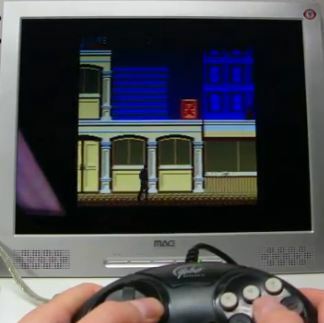 As I let the game run through it's demo mode, I couldn't of course see any sprites as they hadn't been tested and were also comented out, but I could see the background and the in game graphics that consisted of characters only, such as the platforms and bombs and their colors matched what I expected to see from MAME. 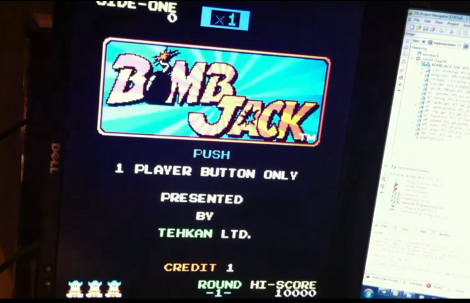 One thing that puzzled me for a while was that the Bomb Jack logo on the startup screen would be missing its top part completely. It was not until much later when I implemented the sprites, that the mystery was solved, that missing top part of the logo is built with sprites not characters! The final part of the circuitry was pages 4 and 5 and proved to be the most complex to debug. This is the sprites generator (page 4) and sprite positioning (page 5). The problem I had was that simulating this was hard, in that simply running the game in the simulator was not an option because the sprites don't appear on screen until about a minute after power on. It takes several hours to simulate one single second of circuit action. This is where I had to break out IDA and dig through the disassembly of the game ROMs, then find suitable patch locations to force the game to skip portions I wasn't interested and just jump to where I needed it to. At this point there wasn't enough memory space inside the FPGA to keep all the video ROMs, so since the background generator had already been tested I commented out its ROMs and brought in the character generator and sprite generator ROMs. I'm not exagerating when I say this portion of the debug took a couple of months on an off working into the evening simulating and examining the traces. Initially I got page 4 working which finally displayed some sprites to the screen but they only moved left-right as page 5 had not been implemented. There was also something that bothered me immensely, while sprites appeared to work, the death sequence animation of Bomb Jack showed corrupt graphics across the entire row that Bomb Jack occupied. I put this aside for now and continued with page 5. Back to the simulator. I must as as aside, say that the simulator is absolutely invaluable. Without simulation, it would have been very very hard, if not impossible to track down some of the bugs or other subtle issues encountered here. At this point I patched some test code into the VGA scan doubler so that it writes its input signals to a .ppm file. What is special about this is that a ppm file (portable pixmap format) is actually an uncompressed image file (similar to a bitmap) but entirely in text format. As I run the simulator, a sequence or ppm files would be output each corresponding to a video frame, which I could then view with a graphics program. This allowed me to see at exactly which frame the faulty sprites appeared. The cause of all this grief turned out to be very simple, I had incorrectly inverted the signal coming out of gate 7C6 on page 4. This was a very simple mistake that proved very costly in terms of time to track down. As troubleshooting the video section took such a long time, in order to not lose my mind working on the same problem over and over without making much progress, I decide to take a "break" and work on the audio section. This is a fairly simple setup, a CPU with ROM and RAM driving three identical programmable sound generators (PSGs). These are AY-3-8192 types but there is a proven YM2149 core written by MikeJ of fpgaarcade.com, YM2149 being identical to the AY-3-8192 chip apart from one pin that lets you run the YM at double clock (by causing the chip to halve the clock internally). The main problem initialy encountered here was that some of the signals are not labeled on the schematic, such as the clock to the PSGs, the mystery signal feeding the flip-flop which goes to the CPU NMI input, some signals were mismatched in their labeling, such as the /SIORQ from the CPU that really does go to IORQ at chip 5D. However when all those were sorted by referencing the source code for MAME for clues, the audio board finally played sound effects and music. One small issue that arose during testing was that the background music seemed to be missing one of the audio channels. Simulation showed that the audio CPU was explicitly writing the register of the PSG to actively mute that channel. This was very strange until after more debugging and talking to MikeJ the solution presented itself. I was missing the chip select to the RAM. By having the RAM permanently enabled, some writes from the CPU that should not have gone to the RAM at all, were in fact writing memory corrupting it, causing the CPU to the write incorrect data to the PSGs. Up to this point, the CPU ROMs were running out of external SRAM and the video ROMs from internal FPGA BRAMs, and there wasn't even enough room for those inside the FPGA, so I'd had to comment out some ROMs such as the background generator ROMs. It was finally the time to shift everything around. I moved the audio and main CPU ROMs to internal BRAMs and all the video ROMs to external SRAM, but I was still one BRAM short fitting everyting in the FPGA. I eventually changed the color palete design on page 8 so instead of using BRAMs, it uses vector arrays, which at syntesis are mapped to lookup tables and not BRAMs. There was yet more simulator required to figure out the exact times to read the external SRAM and present the data to the appropriate places inside the FPGA in order to mimic having a bunch of separate ROMs and fixed some more minor bugs, such as having some of the sprites colors wrong when running from external SRAM because I'd incorreclty swapped around some of the ROM chip address mapping, but it eventually all finally fell into place and I had the whole game running as it should. The project is organised into a number of folders relative to the main project folder, all the source code lives in /source, the BJ original ROMs are expected to be in /roms/bombjack and some handy scripts live in /scripts while relevant documentation can be found in /doc. Finally the Xilinx build occurs in the /build directory which can become cluttered with temp files after each build. Feel free to delete all files in there but make sure you keep the .xise project files. 3) run /build/bombjack.xise to start the Xilinx ISE environment and generate the fpga bit file. 5) finally burn the resulting /scripts/fpga.bin file to FLASH using the command "papilio-prog.exe -b bscan_spi_lx9.bit -f fpga.bit"
It is important to burn the fpga.bit to FLASH rather than just soft upload it to the FPGA because the game ROMs must be present inside the FLASH so that the bootstrapper can then copy them to SRAM at power on. This project as it stands now, uses all 32 BRAM blocks of the LX9 FPGA, so it would not be easy to port it to another FPGA with fewer BRAMs unless either or both the main and audio CPU ROMS could be run from external SRAM. The largest ROMs, are the main CPU ROMs, totalling 40Kb or 20 BRAMs, and they are the most difficult to run from SRAM due to the main CPU running at 4Mhz which does not sync up with the video ROMs being accessed on a 6Mhz clock. As such, this project runs specifically on the Papilio Plus platform with the MegaWing add on. The button labeled RESET on the MegaWing is not used as reset but as a shift to expand the functionality of the remaining four buttons. Arcade MegaWing. Instead of all these wings listed above to run this project, but Ben has been working on a new version that should work fine with the Arcade MegaWing. Ben wrote a nice bootloader to select ROMs from a SD Card. Famous audio chips such as the Commodore 64 SID, Atari ST YM2149, and Atari 800 Pokey are built in and ready to use in your sketches. No GPIO’s are wasted or soldering required! A new small VGA mode that is modeled after the Sinclair ZX Spectrum. 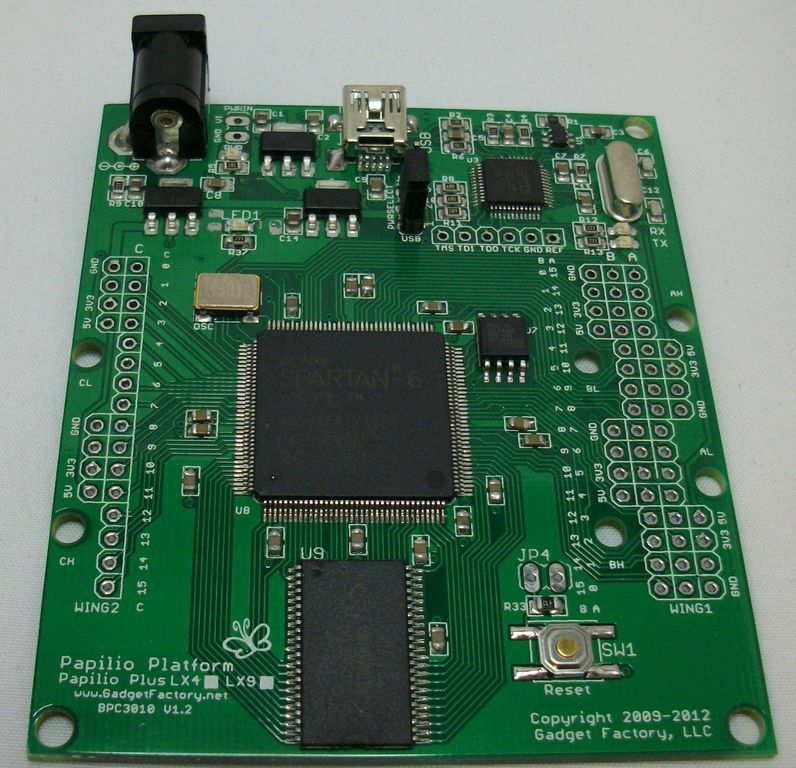 This versatile but compact VGA core fits, along with the ZPUino to control it, in the Papilio 250K and 500K boards! SmallFs filesystem allows resources such as images our audio files to be placed in a directory with your sketch and automatically becomes available for use by your sketch. Upload to RAM allows sketches and smallfs resources to be loaded directly to internal BRAM or the external SRAM of the upcoming Papilio Plus board. 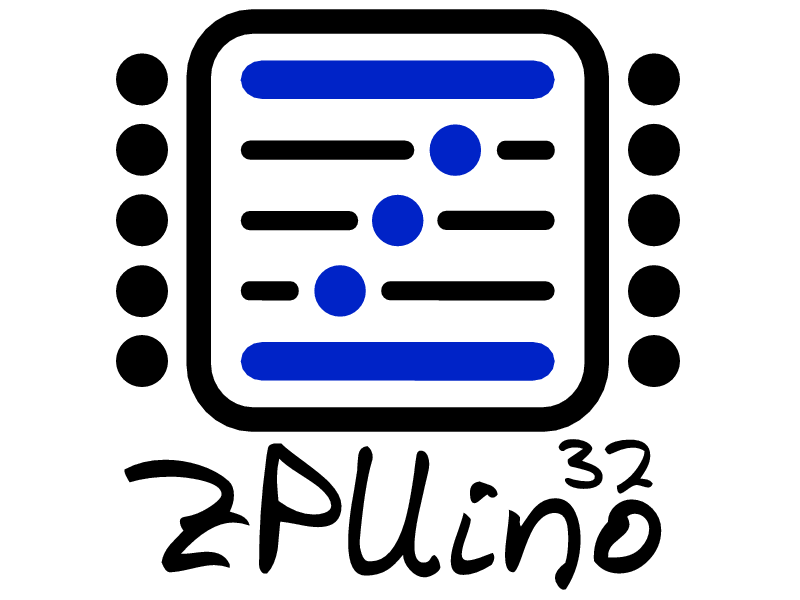 If you still looking For more ZPUino information and documentation check out this page. The missing instructions can be resolved at compile time using a modified build of GCC or by generating traps at runtime on encountering the unsupported instructions. You can check the source code, FPGA project and FPGA bit files at OpenCores. And here is an example of an MP3/WAV decoder that was made with this MIPS-like processor, the project is an FPGA based MP3/WAV Player using just a FPGA, some RAM & a stereo DAC. Provided sw_app directory includes base C project + makefile which includes a serial I/O driver, printf/sprintf/vprintf library & timer driver. Typing 'go' in sw_app will build the source code and update prog_mem_content.vhd with new program memory contents (then just rebuild in ISE). The game and the name have their roots in the Japanese lot drawing game Amidakuji. 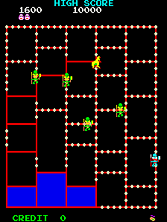 The bonus level in Amidar is a nearly exact replication of an Amidakuji game and the way the enemies move conform to the Amidakuji rules. A clone of this game was released for the Atari 2600, entitled Spiderdroid. As in Pac-Man, the player is opposed by enemies who kill on contact. The enemies increase in number as the player advances from one level to the next, but do not increase in speed. Their speed is always matched exactly to that of the player. On odd-numbered levels, the player controls an ape (in some versions labeled "Copier"), and must collect coconuts while avoiding headhunters (labeled "Police" and "Thief"). On even-numbered levels, the player controls a paint roller (labeled "Rustler"), and must paint over each spot of the board while avoiding pigs (labeled "Cattle" and "Thief"). Each level is followed by a short bonus stage. Whenever a rectangular portion of the board is cleared (either by collecting all surrounding coconuts, or painting all surrounding edges), the rectangle is colored in, and in the even levels, bonus points are awarded. This leads to some comparisons with the popular and influential Qix, although the similarities between these games are superficial at best. 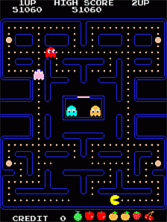 When the player clears all four corners of the board, he is briefly empowered to kill the enemies by touching them (just as when Pac-Man uses a "power pill"). 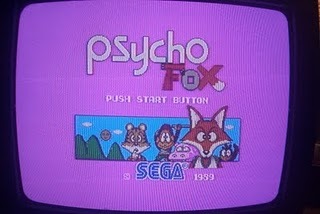 The game controls consist of a joystick and a single button labeled "Jump," which can be used up to three times, resetting after a level is cleared or the player loses a life. Pressing the jump button does not cause the player to jump, but causes all the enemies to jump, enabling the player to walk under them. Joystick: Use to direct the frog throughout the screen. Unlike many games, the joystick must be returned to the neutral position before being moved again to make the frog continue in the direction you wish for him to go. 1 or 2 Players: Push these buttons to begin a one or two player game. In this maze-themed game, the player controls a paintbrush, used to paint the corridors of an aquarium, all while being pursued by two predatory fish (one blue, the other yellow). The player has to avoid these fish at all costs, as if they catch the paintbrush, it is destroyed. 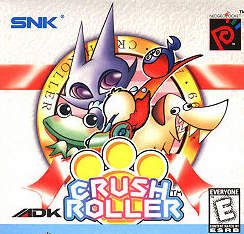 However, the player can turn the tables on these foes by using one of two rollers located at two points on the board and crush them for bonus points. Joysticks: The game features a 4-way joystick, the only control needed for gameplay. This used to guide the paintbrush around the maze. 1-2 Players: Used to begin a one- or two-player (alternating turn) game. The paintbrush: The hero of the game, his objective in life was simple: to paint the corridors of the maze surrounding the aquarium, where two predatory fish live. The player begins the game with three lives (depending on the setting); an extra brush is awarded at 10,000 points. The game ends when all the lives are lost. The fish: The primary adversaries of the paintbrush, these serve to pursue the paintbrush and stop it from painting the entire maze. Resembling goldfish, one of these are blue, the other yellow. The fish are considered very smart, and often team together in an attempt to corner the paintbrush. If either one (or both) catch the paintbrush, it is destroyed. Other adversaries: Once per round, one of six "mischief makers" (animals, people or other objects) appear, with the sole purpose of messing up the paintbrush's work. Depending on the stage. Pac-Man's game play was a stark and refreshing contrast to the space aged shoot'em ups that were popular at the time. Pac-mania became a phenomenon and video games' first mascot was met with an insatiable demand. You control Pac-Man through the maze with the joystick. You must eat every dot and power pellet to advance to the next stage. You must avoid contact with the ghosts while they are their normal color. If you eat an power pellet, the ghosts will turn blue, and you may eat them for bonus points until they turn back to their normal color. Ghosts travel at half speed through the side escape tunnels. Use them to get away. A bonus item will appear below the ghost pen twice per stage for extra points. 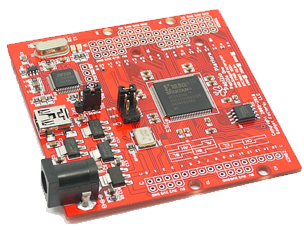 The Papilio Plus is based on a Xilinx Spartan 6 family FPGA, specifically the LX9, which has a total of 589824 bits of BRAM internally, which translates to 72K bytes of internal BRAM, however the Papilio Plus has an external 256Kbx16 fast SRAM attached to the FPGA in the form of an IS61WV25616BLL chip which significantly increases the amout of RAM the FPGA has access to. 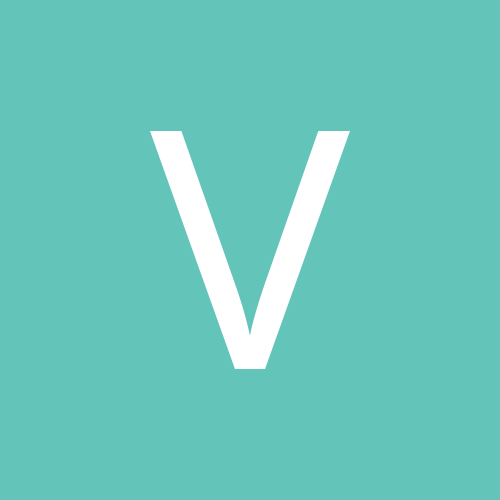 While it is true that the Papilio also has 4M bits of FLASH attached in the form of the SST25VF040B, that memory is significantly slower to access because its contents must be accessed serially and clocked out one bit at a time. It would be nice to have a fast, parallel access ROM attached, but how does one turn a SRAM which loses its contents at power off into a permanent non volatile ROM? This project addresses that issue! The basic priciple is to store the ROM contents into the comparatively slow serial flash then copy them at power on into the SRAM before handing over control to the user. 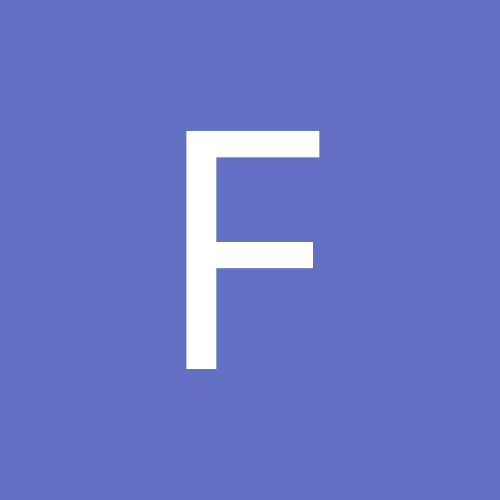 We need to bootstrap the SRAM, so there are two issues that need to be addressed, how to upload arbitrary user data into the flash and how to copy that data from serial flash to parallel SRAM. There are tools like the Papilio Loader that uploads FPGA bitstream (.bit files) into the flash and other tools like Xilinx's data2mem which can insert user provided data into the BRAM memory locations inside a .bit file, but none of these actually help us. Our user ROM data is not stored inside the FPGA BRAM and as such, it is not part of the .bit file. If the FPGA had enough BRAM to hold our ROM, we would not need the external storage after all. This is where bitmerge.py comes in. This is a Python script which will take a valid .bit file and a user provided binary file and merge them together into another .bit file which can be uploaded to the flash using the Papilio Loader. This will all make sense once we understand what a .bit file really is. Once a user design is error free and synthesized, the FPGA compiler can produce a .bit file, which is really a binary file that contains a small header followed by the actual FPGA binary bitstream. The Papilio Loader does not in fact write the entire .bit file into the flash, it only writes the FPGA bitstream contained within the .bit file. The format of the .bit file is explaned here but basically it consists of a magic number and 5 sections labeled a, b, c, d, e. The first four sections contain strings such as the design name, the device type, date and time the .bit file was compiled. Section e contains the actual bitstream. What the bitmerge.py script does is append the user binary ROM data to the FPGA bitstream data and rewrite the section e length to be the total combined length of both the FPGA bitstream and user ROM data. The Papilio Loader will happily parse this new .bit file and write section e to the flash which includes both the FPGA bitstream and the appended user ROM data. But won't the FPGA get confused now because new data is appended to its bitstream? In actual fact, no. On power on, the LX9 FPGA will serially shift in from the flash only the FPGA bitstream and then stop. Provided these bits are a valid FPGA bitstream, which they are, because we haven't modified the FPGA bitstream in the .bit file, the FPGA will happily run the design. As a form or sanity checking, the bitmerge.py script will parse the original .bit file and print out the contents of sections a through d, to ensure the input file is a valid .bit file. It will also do some basic checking to ensure the files do not exceed the flash capacity, then it will print out the address in flash where the user ROM data begins. Now that we've stored the ROM contents in non volatile flash, we need to copy them to SRAM on every power on so that they are available for fast access. An example project is attached which shows how this can be accomplished. 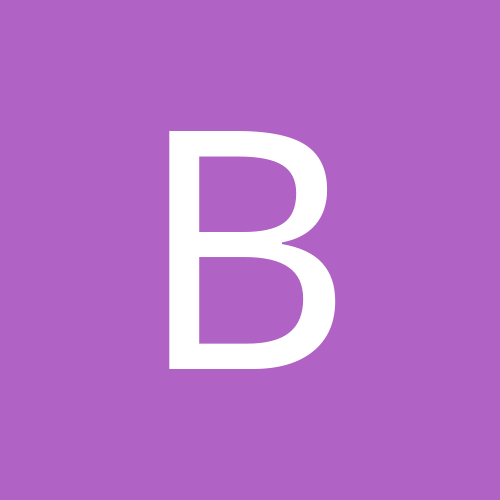 At power on or external reset, the signal "bootstrap_busy" is asserted and a state machine initializes the flash by sending it the address where the user data begins. This is the address we obtained from bitmerge.py and is hardcoded in the VHDL top level code as constant "user_address". Because we maintain the chip select to the flash, we do not need to send further addresses to the flash, we simply keep clocking it and every 8 clocks we've shifted a new byte out of the flash. The flash auto-increments the address for us, and if the maximum address is reached, it rolls over to zero though that won't happen here as we stop reading the flash when we've reached the end. As each byte is read from flash, the state machine stores in the low byte of the SRAM's 16 bit data bus, whereas the high byte is set to zero since it's not used. When the flash has finished copying to SRAM, the signal "bootstrap_busy" is de-asserted. 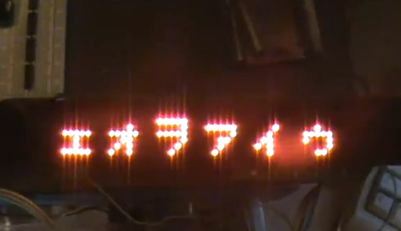 This signal can be directly used as an active high reset by the user design. Finally, the signal "bootstrap_busy" drives a multiplexer which "steals" the SRAM data, address and control lines during bootstrap and connectes them to "bs_*" signals then releases them once it's done. The user can access the SRAM via the signals "user_*"
During bootstrap, the flash data range from address "user_address" to the top of flash (0x3FFFF) is copied to the SRAM starting at address zero, even if the user ROM data does not in fact occupy that entire range. The performance penalty for copying the extra data is negligible. 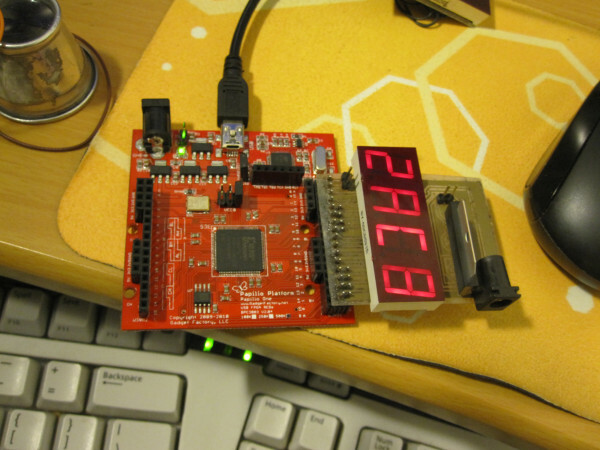 In the example project, the user portion of the design reads the SRAM sequentially and sends the bytes out as rs232 data at 115200 baud 8N1, formatted as 16 hex bytes per line. This is just an example and the user can replace this part of the design with whatever they wish. The FPGA bit stream for an LX9 is about 333K bytes and the serial flash is 4M bits, or 512K bytes so the amount of space available for user ROMs is about 179K bytes. The SRAM is significantly bigger than 179K bytes so there will not be enough space in the flash to fill the entire SRAM. Also the SRAM data bus is 16 bits or 2 bytes wide. It's conceivable that a user could use the low byte lane of the SRAM, for example, to store the ROM image while using the high byte lane as actual RAM. The limitation here is that one cannot access different "ROM" and RAM addresses simultaneously, so a staggered access must be implemented. Also, because the SRAM LB and UB selectors are tied together, byte access to the SRAM is disabled, so the SRAM data can only be accessed 16 bits wide at a time. For that reason, if one wants to write to the SRAM, care must be taken to not overwrite the "ROM" contents. This is accomplished with a read-modify-write cycle. The SRAM contents at a given address are read to obtain both high (RAM) and low (ROM) bytes, the high byte is updated while preserving the low byte, then the word (2 bytes) is written to SRAM again. Seven segment displays are useful for showing data, debug info such as addresses, etc. Instead of using a physical expansion board (wing) which costs money and has a limited number of digits, this simply uses an existing VGA output on a wing to implement any number of seven segment displays limited only by the available screen real estate. In principle, if your project already uses the VGA output such as say PacMan, if should be quite easy to superimpose the seven segment display on top of the existing video output by logical ORing the seven segment display output with the existing VGA signal. The position, size and color of each digit is configurable. 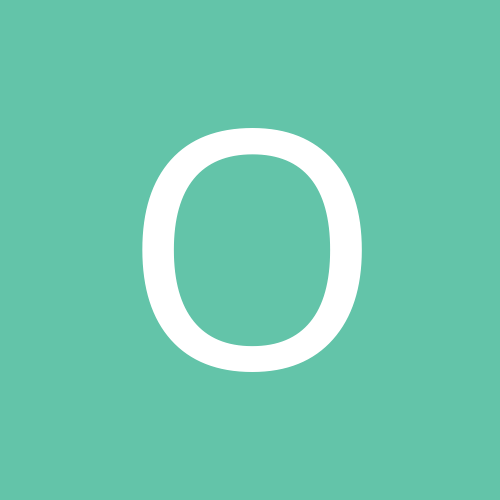 A simplistic demo top module is included to generate some static and dynamic digits of various sizes and colors, see picture below. RLE built into the hardware to make the most of available memory. The FPGA can only sample 1.2V, 2.5V, and 3.3V. Any higher voltages can damage the input pins of the FPGA. Given time a plugin board will be developed to address this issue. NOTE: The current 2.12 release is based on the Openbench Logic Sniffer 2.12 source code. There are issues with RLE, test mode, and there are some failing timing constraints in the project. This release has not been well tested, it is being released while the new Verilog branch of the project is completed. The Verilog branch should fix all of the above issues and will be available soon. Michael Poppitz was the original author of this great Logic Analyzer design. He wrote the original VHDL and Java client and released it GPL at http://www.sump.org/projects/analyzer/. Please visit his website for more information. Jonas Diemer took the original design and ported it to the Spartan 3E by utilizing BRAM instead of SRAM he also integrated a RLE into the design. His source can be downloaded here. The very latest development for the Java client is hosted on SourceForge here. 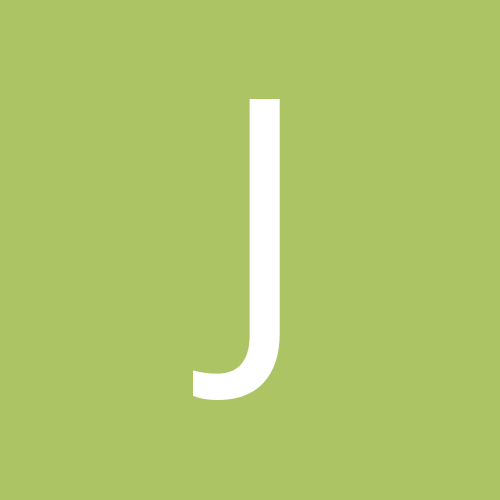 OakMicros has created a very nice tutorial for the Java client here . They also offer a nice buffer card to allow any Voltage level to be sampled. It is not currently compatible with the Butterfly Platform but watch for an adapter in the future. Main window (light theme) with scope. Main window (light theme) with measure tooltip. Alex - Author of this project for the Papilio. PACEDev.net - The source for the SID VHDL project. We have attempted to determine the original author of the SID core but have been unable to yet. 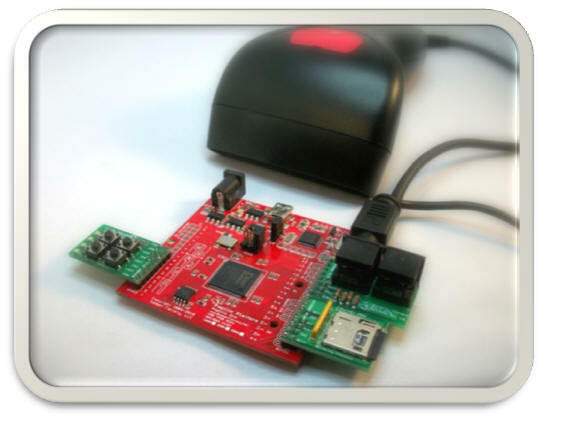 If this SID VHDL project is yours please contact us so we can provide proper attribution and clarify the license. 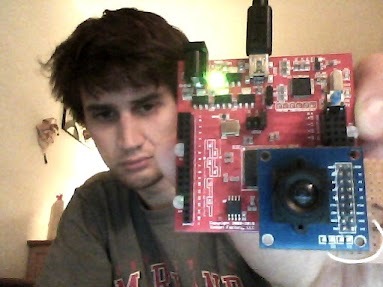 7/13/2011 Revision 1.0 of Wing was designed and submitted to BatchPCB for manufacturing. 7/15/2011 The design is available for $8 at BatchPCB, please be aware that it is not verified yet and may not work correctly. 7/26/2011 Design is built and verified. There is an issue with the example bit file having the pins defined in opposite of the Wing. "This TV output wing could be an interesting replacement for the VGA+jack outputs of the arcade kit. It's a very simple R-2R ladder 7 bit DAC for the video line, and a plain low pass filter for the audio (the DAC must be implemented through logic). You can very easily output B/W video, and colors with some efforts :"
A small demo : compile this, plug your tv_output wing in A8-A15 and enjoy 8 color bars in the middle of the screen: yellow, cyan, green,magenta,red, blue, black and white. And overscan is grey. You need to generate sync, luminance (monochrome image) and color information. Seehttp://www.deetc.ise...ds/doc/ch08.pdf for details on the theory. The provided encoder turns 2 bit RGB (64 colors) into YUV by a table lookup, and modulates the U/V signals by multiplying them by a square wave at the color carrier frequency (3.45MHz for NTSC, 4.62MHz for PAL) in phase (for U) and quadrature (for V). The color clok is generated from a 64MHz clock (thanks to a 21 bits accumulator), itself derived from the main 32MHz clock of the Papilio. sync, Y, U and V are summed into the FPGA, and converted by the R-2R DAC into the corresponding voltage: the resistor values are chosen to turn the 3.3V of the Papilio output into the 0, 0.3 and 1.0V under 75 ohms that the tv requires.